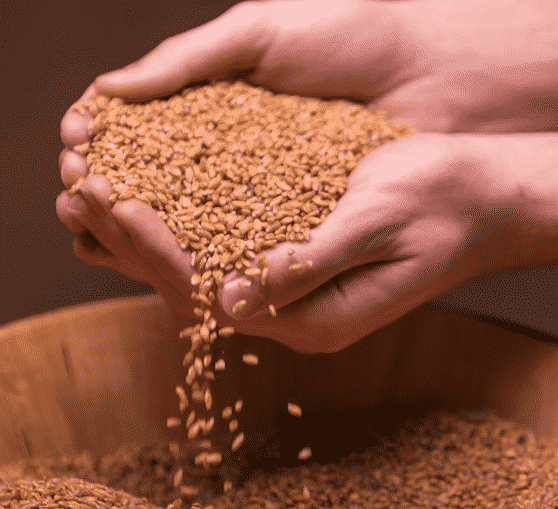 Einkorn wheat, one of the latest of ancient grains to be revived for contemporary consumers, is actually the most primitive form of cultivated wheat. 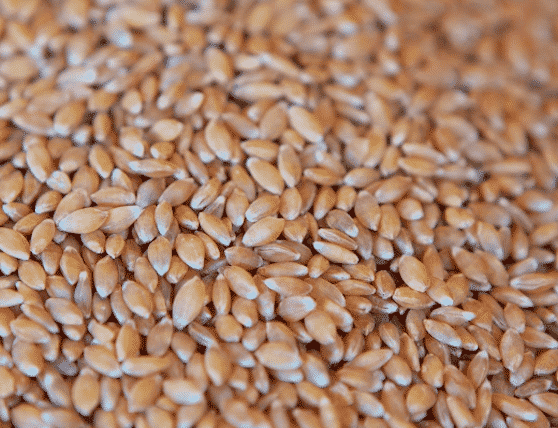 Like amaranth, quinoa, and spelt, and farro, einkorn is taking its place as a nutrition-packed superfood. It’s earth-friendly, too. The grain’s hull makes it resistant to pests, so it’s easy to grow organically. And for a specialty grain, it’s surprisingly economical, comparable to organic brown rice and often less costly than quinoa. For lots more on einkorn’s history, nutritional profile, and more, explore einkorn.com. Modern wheat has been hybridized like crazy, so it doesn’t hold a candle to einkorn when it comes to highly absorbable nutrients. It’s also naturally lower in gluten than contemporary types of wheat, which makes it easier to digest. The Healthy Home Economist makes a great case for switching her family to einkorn wheat, if you’re looking for more reasons to do so. While einkorn is not recommended for those with celiac disease, those with gluten intolerance might find it to be be more digestible to than ordinary wheat products. It’s always good to consult with your health care practitioner if you have food allergies or intolerances and want to slowly introduce any new food. Einkorn is one of the most healthful grains and is higher in most every nutrient category than modern wheat varieties. Its stellar profile includes an abundance of B vitamins, Vitamin A, and iron, and is high in protein and fiber as well. To learn more, look at the chart below, then follow this link for a thorough look at einkorn’s nutritional properties. Einkorn may not yet be as easy to find in natural foods stores and other markets as yet, but it’s readily available online. One of the main sources is einkorn.com. Ask your natural foods retailer about carrying it. The more demand for it, the greater the supply will be! Like most whole grains, einkorn’s low fat content prevents it from going rancid quickly. Stored in tightly lidded mason jars, it will keep at room temperature for several months. If you think you won’t be using it for a while, or if your kitchen is warm during summer months, just pop the jars into the refrigerator, as you would with your brown rice or quinoa. Einkorn is mainly available in the form of whole berries and flour. Here, we’re taking a look at how to use the whole berries; look for our post on einkorn flour, coming soon. Cooked einkorn berries aren’t as intense as ordinary wheat berries. They have a mouth feel that’s kind of a cross between barley and brown rice — pleasantly chewy, nutty and altogether mild and pleasant. Cooking time is somewhere between 30 to 40 minutes. Basic cooked einkorn: Use 2 parts water to 1 part einkorn berries (2 cups water to 1 cup grain, for example). Combine the water and einkorn berries in a large saucepan and bring to a boil. Lower the heat and simmer, covered, until the water has been absorbed, about 30 to 40 minutes. in any recipe where you’d use barley. Try it in classic combinations with mushrooms, tomatoes, and/or beans in soups, for example. as a substitute for rice in hearty recipes like casseroles and chili, as a bed of grains for vegetable and bean stews. as a bed of grain for colorful veggie stir-fries. as a great grain for salads. Use it in place of bulgur in tabbouli for a change-of pace; toss some into green salads for more a nice texture, and combine it with beans, corn, and crisp veggies to make a cold main dish. hearty breakfast bowls, embellished with fresh fruit, a bit of agave, a splash of nondairy milk, and cinnamon. in any recipe that calls for farro or whole spelt berries. Here at VegKitchen, we’ve become instant fans of einkorn, and as we develop some new recipes for it, we’ll be adding them right here on this post. So, stay tuned! Photos courtesy of Einkorn.com. This is not a sponsored post. 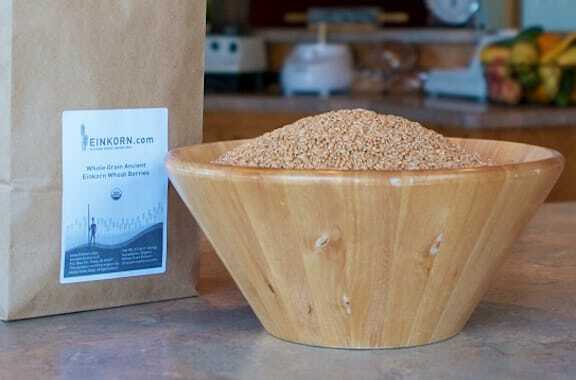 Einkorn.com supplied the product to be tested and used by VegKitchen, but these opinions are completely our own. First I want to say I love your cookbook and site. I come here often for recipes. I thought I saw a Wheat berries recipe that included lemon and vegetables. I may be wrong because I can’t find it now. I think it was back towards the end of January.